Diaoyu protests: What Japanese Internet users think of the Chinese demonstrations. In recent days, anti-Japanese protests have raged across China, sparked by Japanese claims over uninhabited islands in the East China Sea. In the Chinese nationalist view, the protests are against the Japanese “imperialists” who humiliated China in the 1930s and 1940s—Sept. 18 marked the 81st anniversary of the “Manchurian incident” that set the stage of Japan’s invasion of China. The Japanese see things rather differently, but it’s not like anyone would know. Though we’ve heard from the raucous Chinese protesters and have read the more moderate commentary on Weibo, China’s domestic Twitter, the Western media have all but ignored the perspective of the ordinary Japanese. To find out what they think, I took a look at Channel 2, or ni channeru, Japan’s most well-known Internet bulletin board site. Now, Channel 2 is widely considered to veer right of average opinion and in no way represents overall national sentiment. Still, in some circles, the extremely popular site, ranked 28th in the entire country, is considered to be “the heart” of Japanese Web culture. Part of its appeal lies in its embrace of user anonymity, which allows for a frankness that you generally don’t find in the Japanese media. And yes, in my highly unscientific survey of Channel 2 views on China, I did run into some fire-spitting trolls. But other comments were quite revealing. First of all, the Japanese don’t see China as a victim. 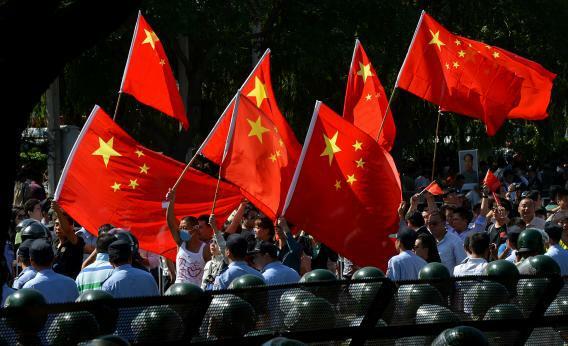 China’s nationalism, as belligerent as it may appear, is rooted in a sense of suffering from a “century of humiliation” that goes back to the First Opium War and the British acquisition of Hong Kong in 1842. What some of the more rabid Chinese don’t appreciate, however, is that the rest of the world—especially Japan—does not see China as the underdog. These indiscriminate attacks raised questions about China’s suitability to be a major economic power. As one commenter asked, “Is China seriously the world’s second largest economy?” Not so long ago, after all, Japan occupied that position. These comments just provide further evidence that if China wants Japan to be sorry for its wartime actions, the recent protests were a terrible way to get there. The demonstrations came off as a blur of violence and random looting, with outcomes that ranged from the absurd to the tragic, as in the reports that a Chinese man was beaten severely for driving a Toyota. Meanwhile, some Japanese are striking back: In Tokyo on Saturday, hundreds protested China’s claims over the islands. The sad thing is, many Chinese truly believe they were wronged by Japan. They cite not only Japan’s World War II-era behavior, but its failure to acknowledge the depth of suffering inflicted on the Chinese. After these protests, this legitimate grievance will be even less likely to be heard by Japan.